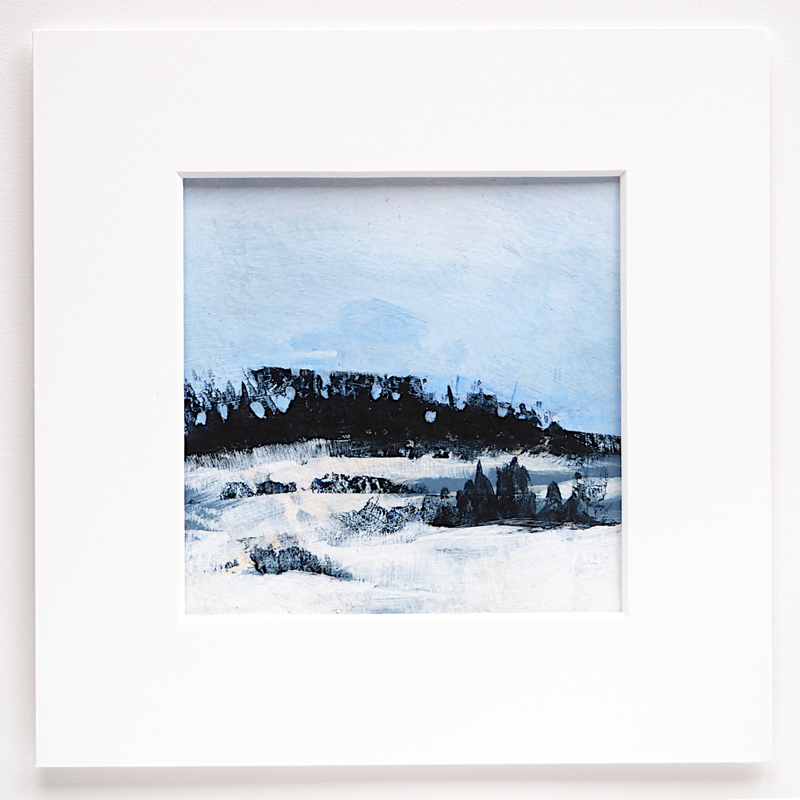 Small mixed media abstract landscape on paper. 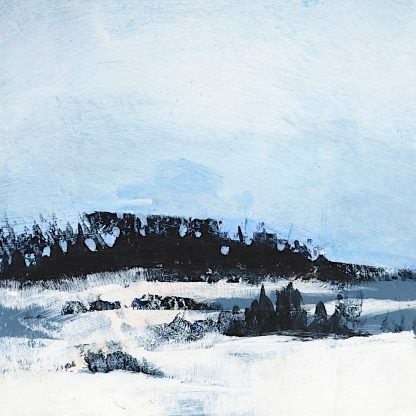 Winter scene with cool pale blue sky, snowy fields, and a dark forest in the distance. Painting is 6″ x 6″ and ships with an 8″ x 8″ acid-free archival white mat and sturdy backing. 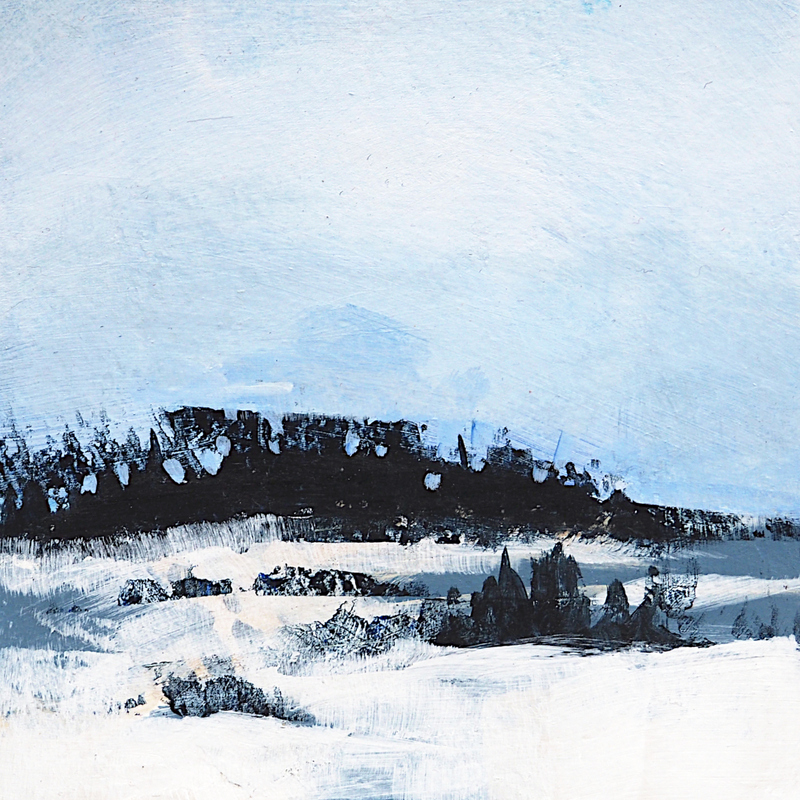 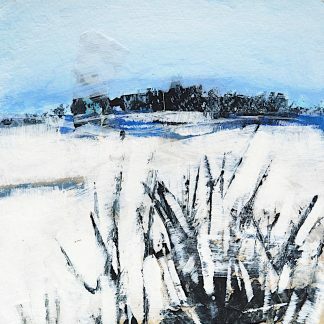 Mixed media abstract landscape, 6" x 6" Winter landscape, aspen trees against a snowy field, 6" x 6"